Gidea Park Station - Crossrail . For information about the Elizabeth line please visit the Transport for London website. New platform lighting and CCTV. The work, being carried out by Network Rail, was completed in 2018. Refurbishment works being carried out by Transport for London are nearing completion with new canopies and LED lighting having been installed along the length of the platforms. The exterior of the station building has also undergone refurbishment. As well as the station improvements, the sidings to the east of the station have been upgraded and extended. 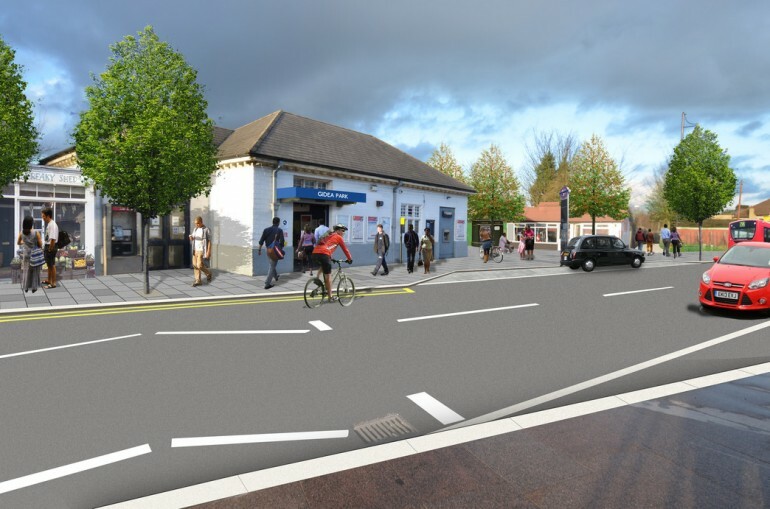 Crossrail has also been working with the London Borough of Havering and Network Rail to help develop plans for improvements to the area around the station. Early proposals were published in 2014. In May 2015, Transport for London took over the operation of the stopping services from Gidea Park station. At peak times 12 Elizabeth line services an hour will run between Shenfield and central London, calling at all stations. An additional four services an hour will run between Gidea Park and the existing Liverpool Street station, westwards in the morning peak and eastwards in the evening peak.